The Transport Ministry will launch a 7-7-7 campaign for the safety of people travelling during the 2018 New Year, Transport Minister Arkhom Termpittayapaisith said on Wednesday (Dec 6). The campaign time is divided into three 7-day periods: 7 days before the New Year; 7 days during the New Year; and, 7 days after the New Year. Mr Arkhom said safety measures will be strictly enforced, aiming to reduce the numbers of death and injuries to zero on 61 routes — comprising 41 main highways and 20 rural roads. 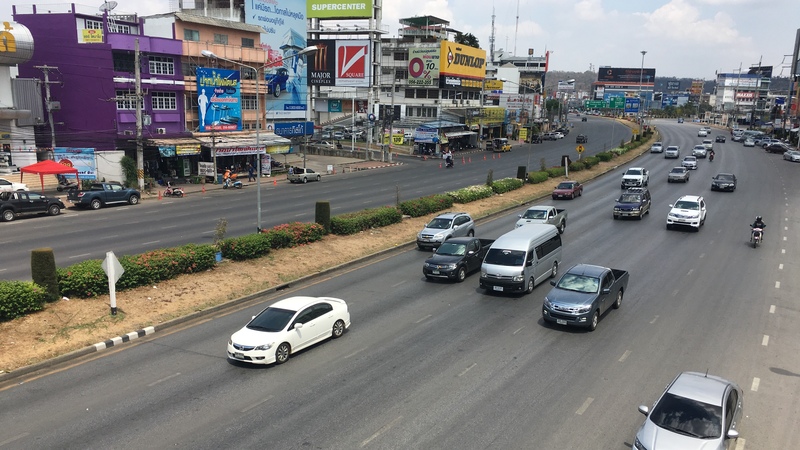 The 61 routes are 12 roads under a cooperation project between the Thailand’s Transport Ministry and Janpan’s Ministry of Land, Infrastructure, Transport and Tourism; 13 roads with the highest numbers of accident during the 2017 New Year; 19 roads with the highest numbers of accidents during the past three years; and 17 roads to tourist spots popular to people during the New Year. The Highways Department and Rural Roads Department have been instructed to set up warning signals, illuminating lights and strobe lights in areas where construction is underway to ensure safety. During the 2017 New Year, there were 1,746 accidents on roads under the jurisdiction of the Transport Ministry, a 17.34% increase from 2016, with the death toll of 304, a 29.36% increase from 2016. During the period from Dec 28, 2017 – Jan 3, 2018, about 8 million vehicles are expected to use the main highways and motorways, an increase of 1.4% from 2016. The number of passengers are expected to reach 16.6 million, an increase of 3.52%. More trains, buses, electric trains and flights will be put in service for up to 2.37 million people to travel per day during the New Year.